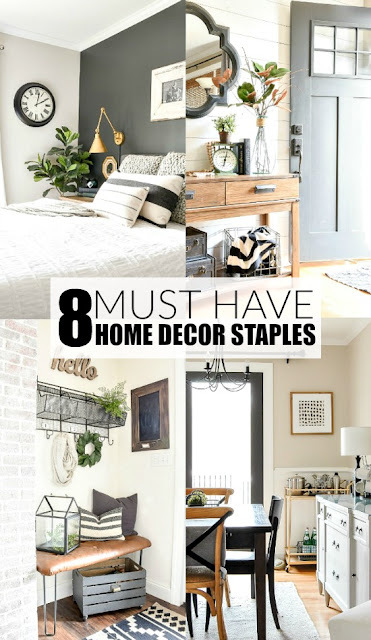 Do you get overwhelmed when you think about decorating your home? Are you frustrated that it's not a space you love? 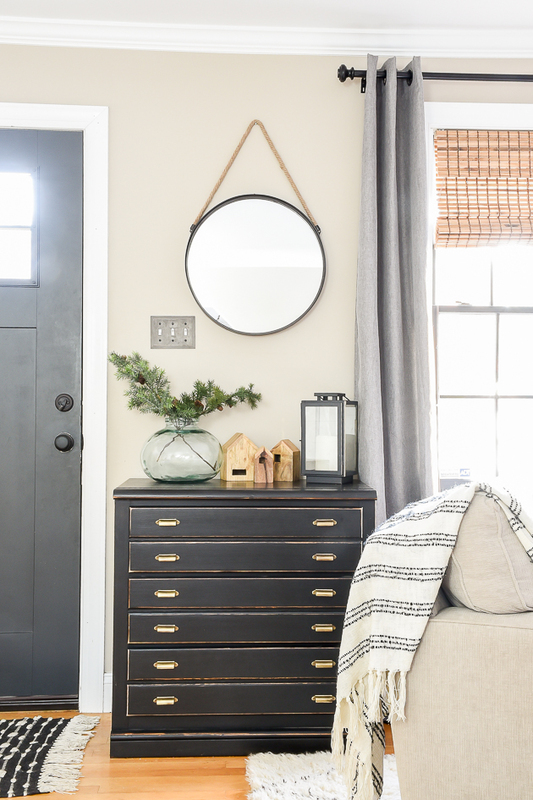 Chances are you're making decorating mistakes that you don't even realize you're making. 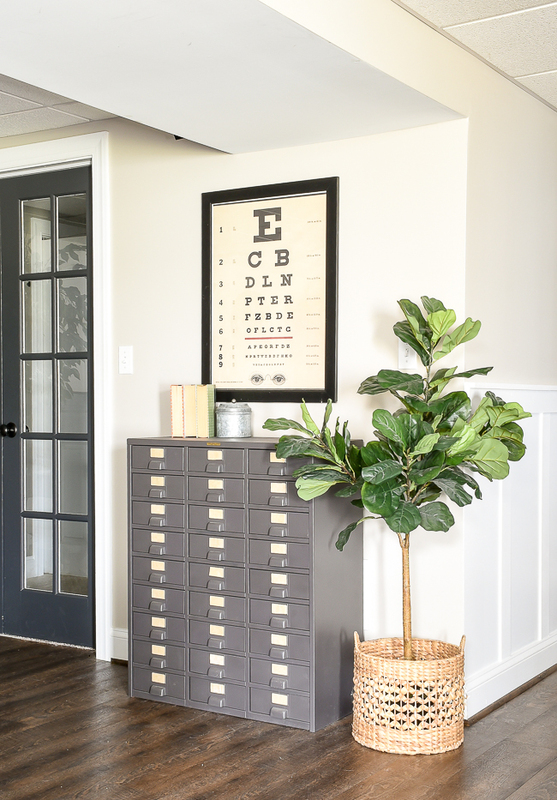 The good news is, these mistakes are easy to fix with these simple decorating tips! 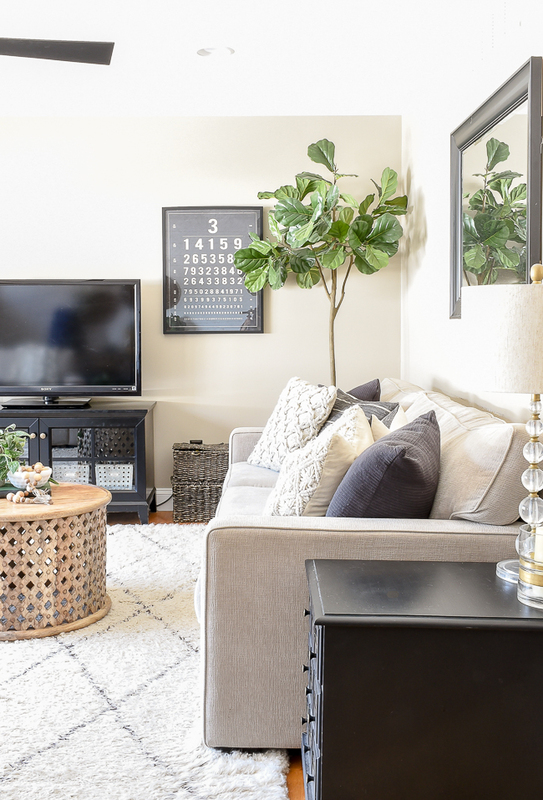 Unless you're a seasoned decorator or have a degree in interior design than chances are you've made a few decorating mistakes that you'd like to forget, I know I've made my fair share. I hung curtains too low and covered my windows, I chose paint colors that were all wrong (bright teal anyone?) and had no real plans. I was so excited to start updating and decorating our home that I just dove right in. Sound familiar? The good news is, making mistakes is a great learning experience and there are easy solutions for correcting them. 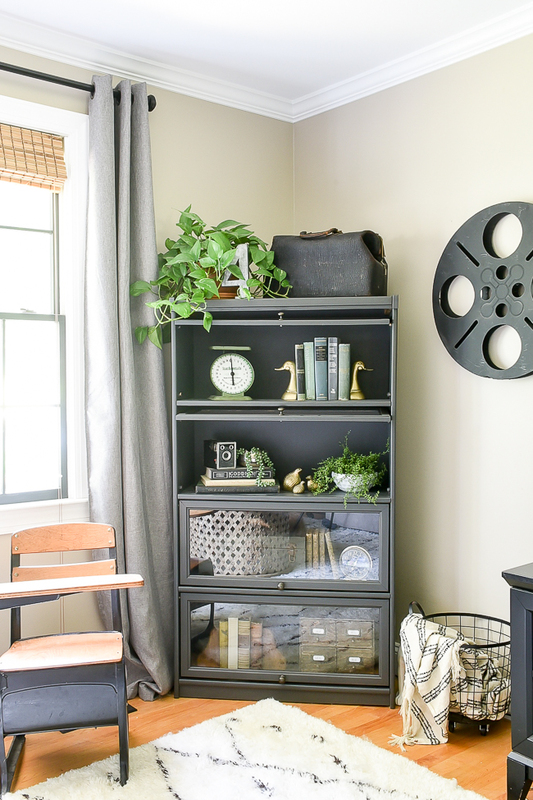 Today, I want to talk about some of the most common decorating mistakes and solutions. 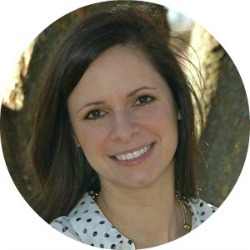 My hope is to help you solve decorating dilemmas and create a home you love. I know, it can be hard to take risks when you're not sure where to begin or even what your style is. But amazing things usually come when you reach outside your comfort zone. Whether that be in your job, everyday life or even when decorating your home. Have you always wanted to add a pop of color or bold contrast to a space? 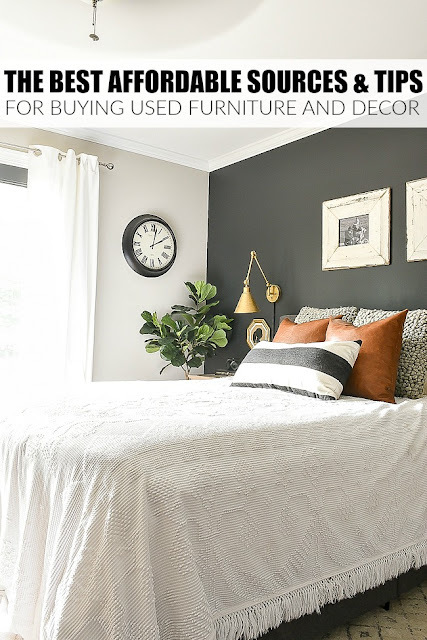 I wasn't sure how I would feel about adding a dark accent wall in our bedroom, but I took the risk and I'm so glad I did! If you follow the simple rule of 60-30-10 (based on the classic rule of three when it comes to design) you can effortlessly add color and contrast in a cohesive way. Here's how my bedroom is broken down using the 60/30/10 design rule. 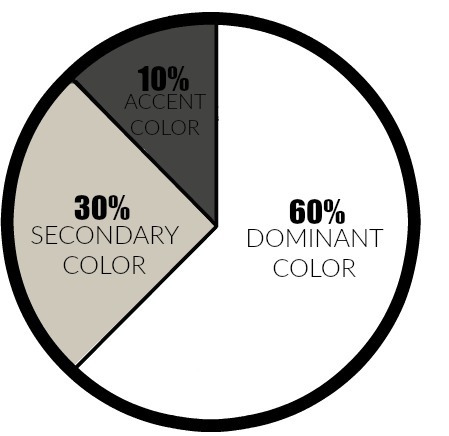 The main color scheme is split between three colors, 60% white, 30% Worldly Gray and 10% Iron Ore. I also added in a few other colors (green and cognac) but kept them to a 10% minimum. 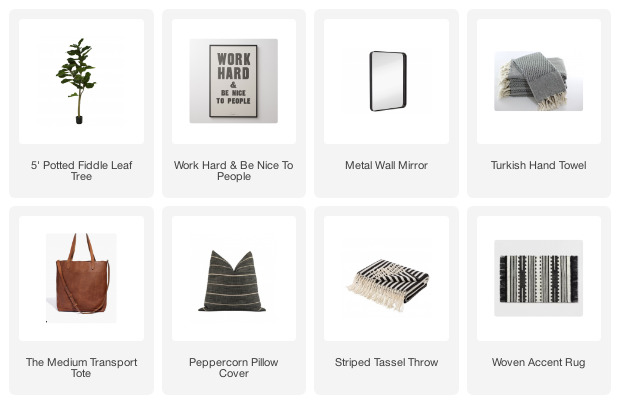 Don't get me wrong, I love Target and HomeGoods as much as any other home decor lover. I also buy decor from these "big box" stores, BUT I don't limit my purchases to them. Shopping small, whether that be vintage markets, thrift stores, church missions or local shops is the best way to find unique decor that makes your house a home. Thrifted: Theatre chairs, lockers (FREE! ), flat weave baskets, multiple drawer dresser. 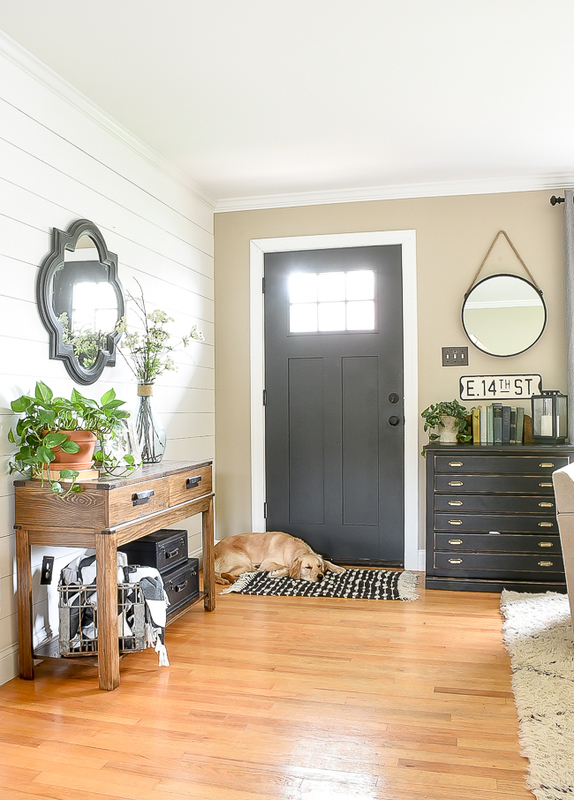 When we first moved into our home I had no idea what I was doing when it came to decorating and made some major mistakes, including hanging window treatments all wrong. I bought all 84" curtain panels (why is this a standard size???) and hung them too low and too close to the window molding. This limited natural light and instantly made our rooms feel smaller. To maximize ceiling height and natural light, hang curtain panels high and wide. As a rule of thumb (for standard 8-foot ceilings), hang curtain rods halfway between the crown molding and window molding and so the edge of the panels skim the edge of the window. This will instantly add more light to your space, make your ceilings feel taller and your spaces larger. Area rugs help ground a space and picking the wrong size can make or break a room. A rug too large can look more like wall to wall carpet and can actually make a room look and feel smaller. A rug too small will simply float in a room and feel out of place. LIVING ROOM- the front third of furniture (sofa, chairs, etc.) should sit on top of your rug. You do not want your rug floating in the middle of the room. DINING ROOM- make sure chairs still sit on your rug when pulled out from under a table. BEDROOM- When you climb out of bed your feet should land on a rug. Extending a rug at least 2 feet from both sides of your bed is a good rule of thumb to follow. What's not to love about plants? They reduce stress, soften the feel of a space, clean and purify the air and studies also show they lower your heart rate and blood pressure. I never had plants in my home because I could never keep them alive, but I recently started adding them and immediately noticed a difference. My mood was brighter and my home instantly had more life. If you're like me and have a black thumb, try adding these low maintenance house plants. Does this scenario sound familiar? You move into a new home or decide to redo a room and you're so excited to decorate that you dive in without a plan. It sounds good in theory, but more than likely will result in paint color mistakes and unnecessary trips returning decor that was all wrong. 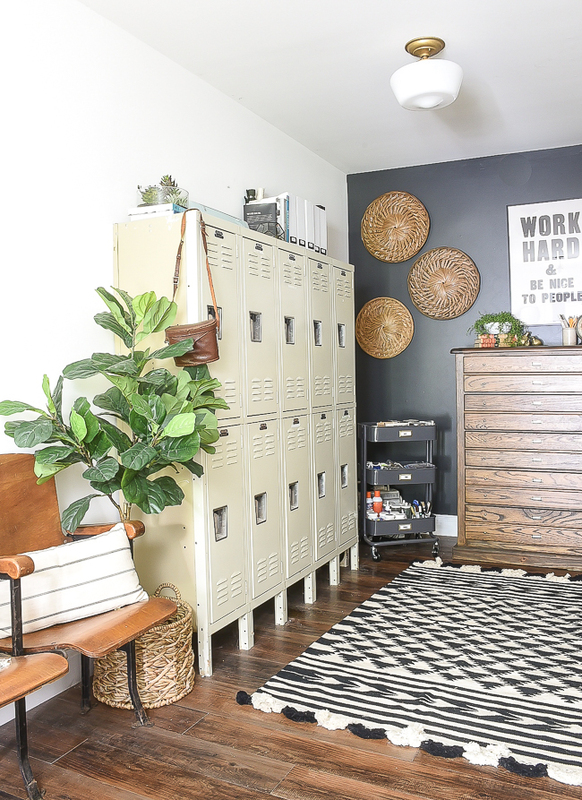 The good news is, with a couple simple steps you can easily plan out your room to create a no-fail space you love. 1. FIND INSPIRATION - Look online, scour Pinterest, read blogs and flip through magazines for inspiration. 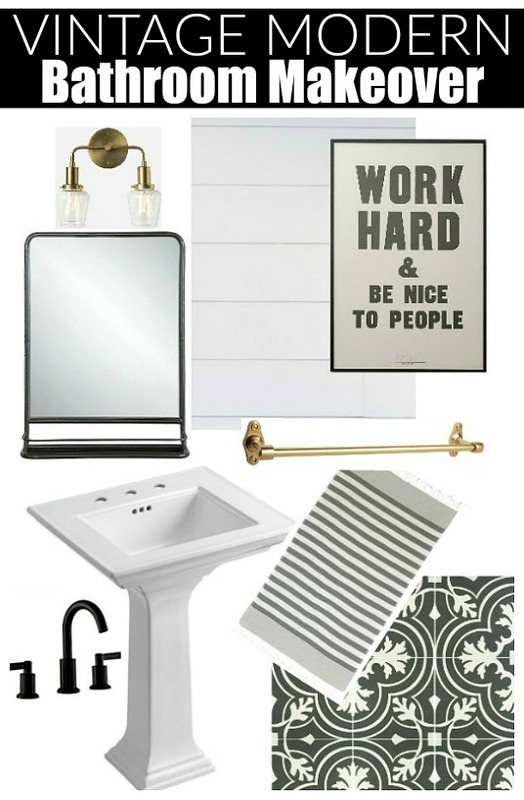 I like to create a secret Pinterest board where I can pin spaces and decor I love. Once a have a feel for how I want my space to look I'll start putting those ideas together. 2. CREATE A MOOD BOARD - Putting your ideas together in a mood board allows you to easily visualize your space and get a feel for what works and what doesn't. I find it's best to start with a focal piece such as a rug or artwork then pick complimenting decor and paint. Not only am I passionate about decorting a home on less, but I also believe your home should reflect your personality and be a place you love. Forcing yourself to stick to one particular style can leave you feeling trapped and frustrated. I get asked often how I would define my style and I usually say it's a mix of modern industrial vintage farmhouse. Why stick to just one style when you can have a beautiful mix to create a home that perfectly represents you? 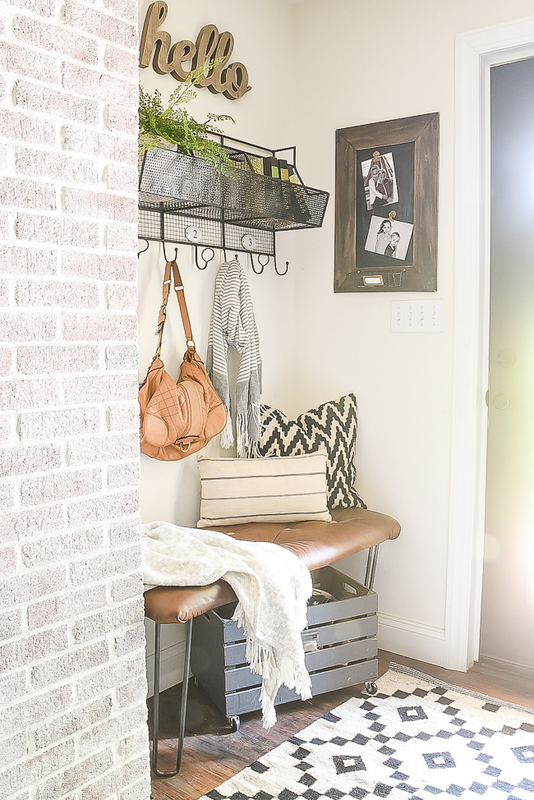 Decorating and creating a home you love should be fun and not frustrating. Give yourself grace and remember that no one is perfect and everyone makes mistakes. I have learned most of these the hard way myself. Many of the rooms I decorated started out one direction, but then I found "just the right thing" and off I went in the direction is should have gone in the first place. Out of my comfort zone. Thank you! Great tips! What app do you use to make mood boards? Thanks, Jen! I usually just use PicMonkey, but I've also used Pixlr in the past. I love your house. 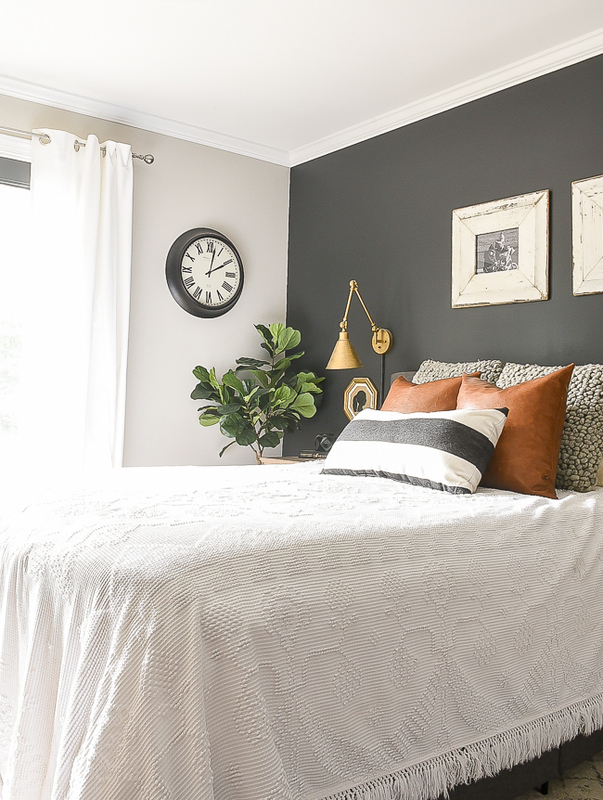 Please share the names of the dark and off white wall colors in the bedroom, the wall color by the front door next to the brock, and the living room wall colors. Thank you. Excellent article and photos. Will share. Thank you always Katie for your thoughtful help.